There are times when you go through a tough phase in life and at night, you literally have to chase sleep so that you can start the morning afresh. Sometimes, even if nothing is happening in life, your sleep is just not normal. There are various factors that prevent us from a quality deep sleep our body requires. According to some statistics, Americans spend an average of 6 hours of sleep per night. Out of every 10 Americans, four sleep less than the recommended seven hours of sleep. It could lead to a physical and mental health problem. Here are 13 scientific tips to have a deep sleep every night. Scientists have proven that blue lights pass signals to your brain that it is not sleeping time. It also hinders melatonin, the chemical responsible for sleep from activating. Turn off any bright light two hours before when you want to sleep. Additionally, if you use a smartphone, you can install apps that block blue light. Try using dimmer lights in the evening. Drinking alcohol in the night affects your hormone and sleep negatively. Alcohol has been discovered to increase the symptoms of snoring, sleep apnea, and disrupted sleep patterns. Your bedroom and body temperature can influence the quality of sleep also. Scientists have pointed out that the temperature in the bedroom room affects the quality of sleep, more than external noise. To have a very deep night sleep, use different temperature to see which one is suitable for your body. Ideally, 70°F/20°C should be comfortable. If you want a deep night sleep, try taking a warm shower or bath before going to bed. Not only does it improve your sleep quality but makes you fall asleep easily. Melatonin signals your brain to head to bed and relax. To have a deep night sleep, melatonin supplements can do the magic. Coffee contains caffeine, which alters melatonin in your brain. If you want to take coffee at night, decaffeinated coffee can help you. Train your body to sleep within a set time. We are the product of habits. Form the habit of sleeping at a particular time and you will have a deep night sleep. Classical music helps people to have a deep sleep. It has been scientifically proven, so definitely try it out. You can also listen to some good Pandora Stations. Pressing your phone on the bed before sleeping hinders your ability to have a quality sleep. The blue light coming out of it can be the reason for lack of deep sleep. Scientists have proven that this makes people have a deep night sleep. It might look weird, but it is a must try. Perfect different relaxation techniques prior to going to bed. This is also used in treating insomnia. The quality of your pillow and mattress is directly proportional to the quality of sleep you acquire. If you tried everything and yet cannot get a deep night sleep. It is time to meet your doctor. If you have your own set of ways to get a deep sleep that works like magic, share them. Also Read: 15 Things You Should Never Do Before Going To Bed! 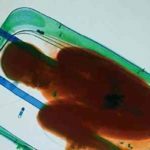 Previous article 15 Weird Things Found During Airport Security Checking! 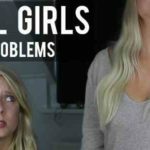 Next article Check Out These 13 Awkward Problems Tall Girls Face In Life!